Tax lawyers representing a man accused of failing to file business income tax returns told the judge that obsessive-compulsive disorder was responsible for their client’s tax problems, the Calgary Herald reported. Business tax debt can sink a business; frequent issues tax attorneys are called to deal with include payroll tax problems and tax audits. That’s not to say OCD is involved in the majority of the cases. But in this case, the man blames the condition for his inability to file business income tax returns. He faces 60 days in jail and a $10,000 fine if convicted of disobeying a court-issued compliance letter. The company, Harvest Brewing, is accused of not filing returns in 2004 and 2005. His attorney said Ronald Thomsen’s personal taxes are up to date because they are easy to file and the taxes are deducted right from his pay. But when it comes to the business taxes, his client’s medical condition prevents him from dealing with the paperwork. The business taxes were about $45,000 a year in the five years prior to the years in question. However, Canada Revenue Agency does not know how much is now owed because they haven’t received any documentation in years. The business’s accountant has told Thomsen she would have the outstanding taxes filed by May but he has refused to turn over the paperwork. That refusal is part of the medical condition, according to his tax attorneys. 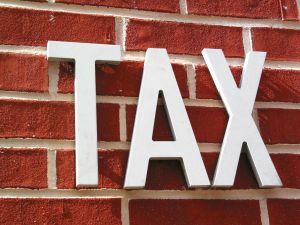 If you are facing criminal charges for tax evasion or charges in connection with offshore bank accounts, contact the tax attorneys at the Brager Tax Law Group, A.P.C. for a confidential appointment to discuss your rights. Call 310-208-6200.